Kim Kardashian and Kanye West whether you love them or hate them, there is no denying the fact that they are one of the world's most famous couples. Not only that, but these two are also one of the well-dressed individuals. Kim is an American reality television personality, socialite, actress, businesswoman, and model. Kanye is an American rapper, songwriter, record producer, fashion designer, and entrepreneur. The husband and wife couple; Kanye and Kim have two beautiful children together; a son, Saint West, and a daughter, North West. In the limelight time and again for many good and bad reasons, Kim and Kanye are back in the spotlight after they launched their Children's Clothing Line. 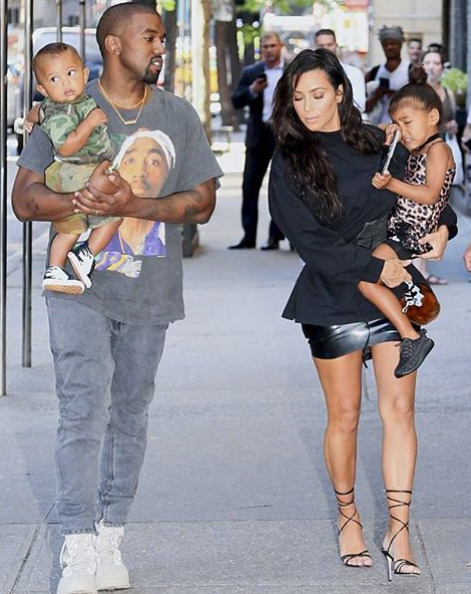 She is starting children's clothing collaborating with her husband, Kanye. Let's have a peek at the fashion diva Kim's collection for children. Kim recently nentioned on Twitter about opening a Children's Clothing Line, and she didn't take much time. The same week she was seen with her clothing collection on display. Who would be a better person to tell people about the fashion sense other than Kim, and we are sure her store will need refilling in a quick period. Everything is gonna sell so fast!! Are you wondering why did the couple decide to open clothing line for children? If you are then the answer is simple. They have been preparing to clothe their children from many years, and they were struck with an idea. They were inspired to start a children line all by themselves. And their understanding of fabrics and styling for children only made their work easy. If you have got something in you, why not show people what you are capable of? Makes sense right? Check out Kim's Twitter where she talks about her new kid's line. Here's another tweet where she tells her friend the new place to find all the kids clothes. Check it out! Kanye West and Kim are always surrounded by the cameras and how could the kids not be in the picture? Kim will not leave a single chance for her children to look fabulous. We can see her baby girl always in a fancy getup in the public. No surprise why public and even the couple's friends always wonder, how Kim and Kanye's children appear so good looking. Now, neither their friends nor their fans should worry about getting the same outfit as North West as you now know the exact place to look for the clothes. Now let's see some of her clothing designs for children! 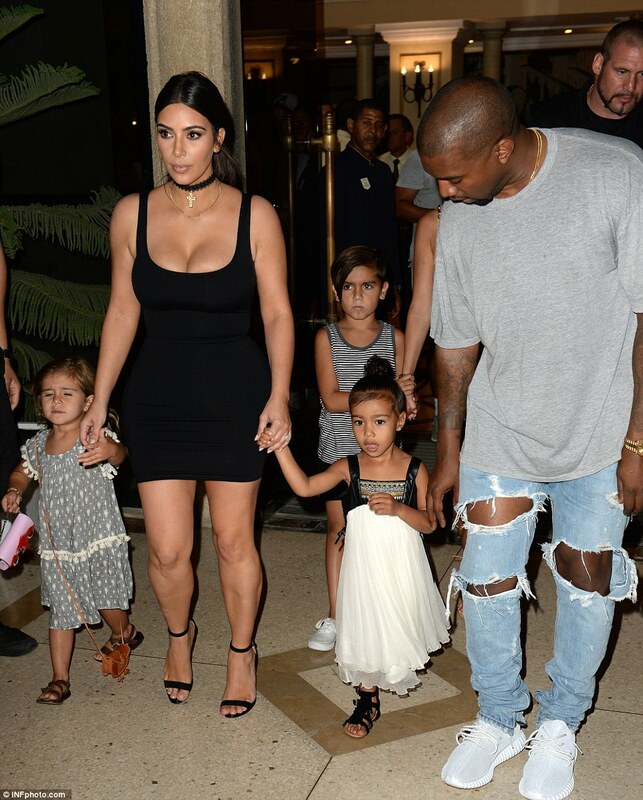 Fashionistas husband and wife couple Kim and Kanye's years experience while clothing their children has now turned helpful for the world. They are definitely not doing it only for the money (as if they need it). They have more than enough money in their account. The couple is here to help the people who want their children to look good. This idea has urged them to open their own brands. TheKidsSupply has been what we've been working on for a long time. I'm so excited about this! Here's also the snap chat clip of one of the outfits they added up in their store, showcased by their daughter North West. Future fashion model? Who wouldn't want to get those lovely baby pink dress for their baby girl? We do, for sure! Check out this stylish t-shirt that holds a fiery print. Just like Kanye's choice! If you want to go through more images of Kim and Kanye's children clothing collection, go through thekidssupply page on Instagram or, website. We believe their clothing line will surely be a hit. To be honest, they are already getting the attention they were looking for. We are happy for this couple and hope they bring out more stylish outfits for children and other age people because every individual deserves to be fashionable! Have a good day people and stay tuned to Frostsnow.